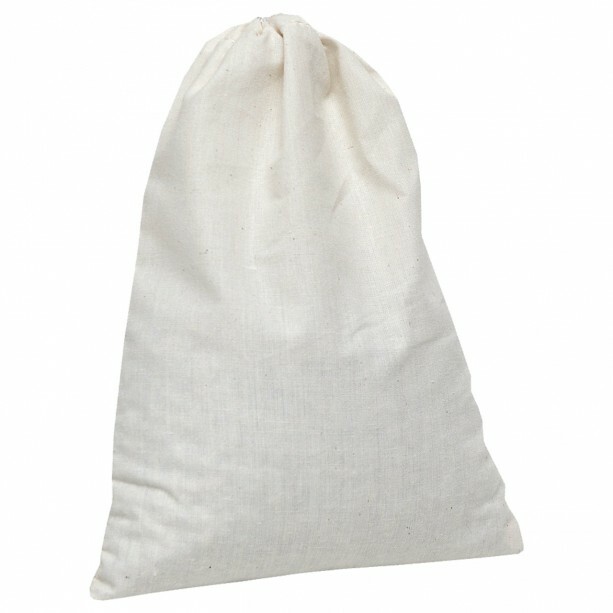 AMMOSORB Reusable Ammonia Odor Eliminator Deodorizer Pouch: Treats 150 Sq. Ft.
AMMOSORB Reusable Ammonia Odor Eliminator Deodorizer Pouch: Treats 150 Sq. 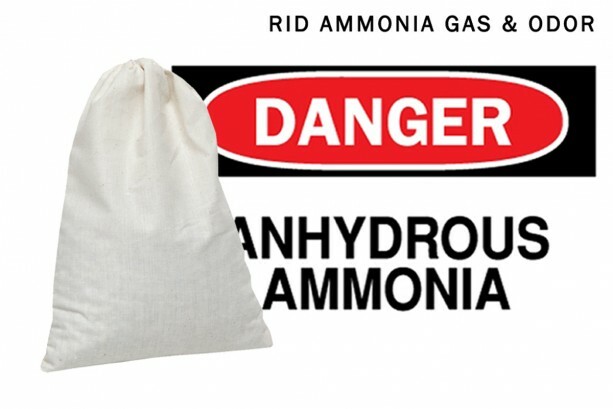 Ft. Summary AmmoSorb™ Reusable Ammonia Removal Pouch eliminates ammonia smell without harmful chemicals with . Ammonia odor doesn't stand a chance. AmmoSorb™ is reusable, lasts a year & great at ammonia removal. Safe for people, pets & planet. 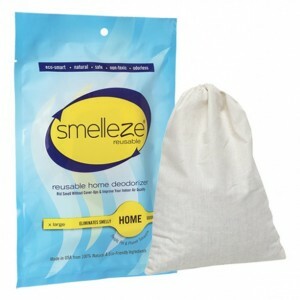 This green deodorizer really works to clear ammonia gas & amonia smell! 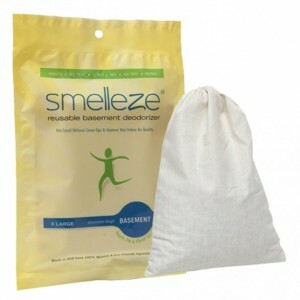 Features & Benefits • Simply place near odor & smell the difference • Eliminates odors instead of covering them up • Creates a cleaner, safer, healthier, environment • Eco-friendly, safe, non-toxic, reusable, odorless • Significantly improves indoor air quality • Made in USA Even Low Levels of Ammonia can be Unhealthy & Hazardous Ammonia can be found in many agricultural, commercial and industrial operations. It can be formed aerobically as well as anaerobically by microorganisms, generated in industrial operations as a by-product or from the volatilization of ammonium ions and accidentally released from commercial coolers. 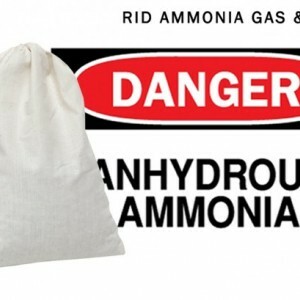 Ammonia disperses easily since it is lighter than air and does not settle in low lying areas like hydrogen sulfide and other dense odorous compounds. Even low levels of ammonia can be unhealthy and hazardous to both humans and animals. It can cause damage to the respiratory tract and depress airway defense mechanisms. Furthermore, experiments have shown that when animals are exposed to ammonia they experience a significant weight gain and feed efficiency loss. 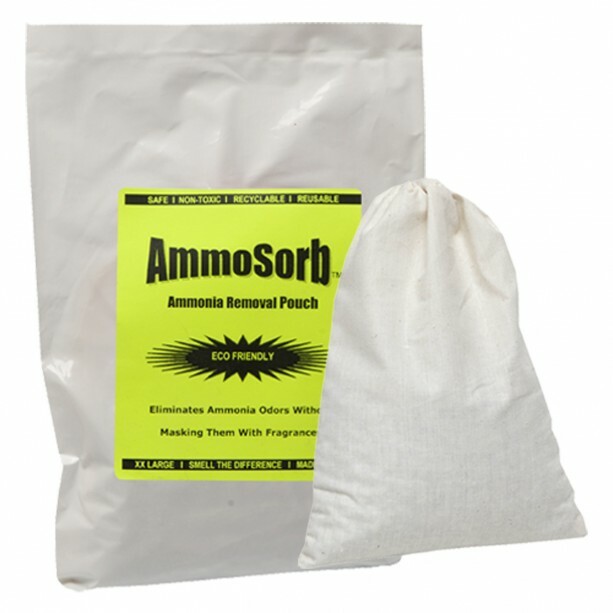 The AmmoSorb™ Ammonia Removal Granules can be effectively used to absorb, neutralize and encapsulate ammonia as well as ammonium ions for safe disposal. 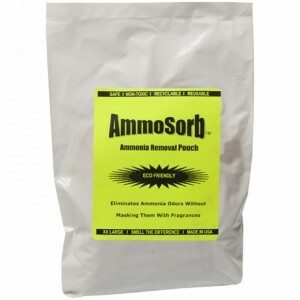 AmmoSorb™ Ammonia Removal Granules will rapidly absorb spills, cleanse the air of noxious ammonia odors, complement existing ventilation systems, and create a safer environment. For a breath of fresh air, simply sprinkle AmmoSorb™ Ammonia Removal Granules generously on spill, allow to absorb, clean and smell the difference. It may also be placed in open containers near spill to eliminate ammonia odors. 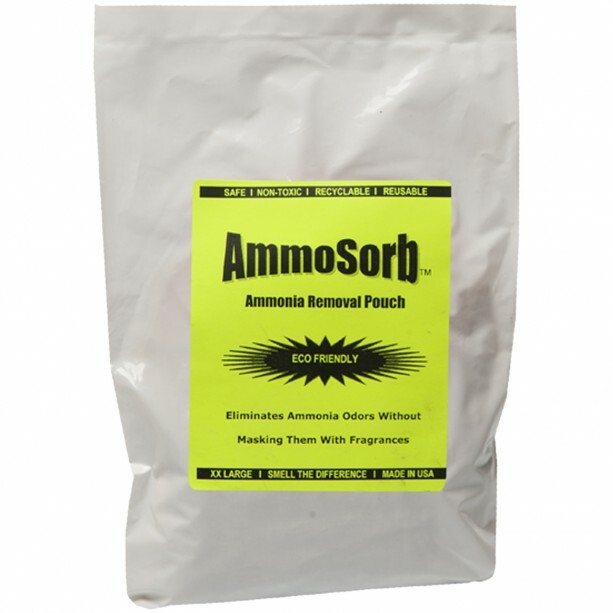 AmmoSorb™ Ammonia Removal Granules is non-toxic, safe, reusable, recyclable, natural, odorless, non-flammable and non-caustic. AmmoSorb™ Ammonia Removal Granules is an ideal environmentally friendly solution for eliminating dangerous ammonia odors without adding pollutants to the air you breathe. It does not contain VOCs, harmful or ozone depleting chemicals and is especially beneficial for those suffering from allergies and chemical sensitivity. No fossil fuels are used in the production of AmmoSorb™ ammonia spill and odor control media.